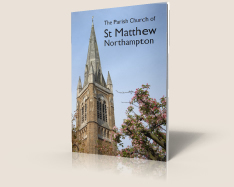 As part of a countywide initiative, St Matthew’s has recently been accepted as a community partner in the Northamptonshire Music Education Hub. 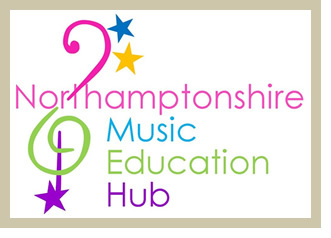 The Hub has been set up to promote the music making of young people in Northamptonshire in partnership with other Hub members and with the Northamptonshire Music and Performing Arts Trust (NMPAT) at its head. 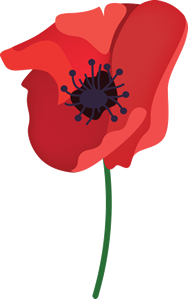 more musicians from within the locality and strengthen its links with other Hub members. In December 2012 the church has played host to three separate NMPAT events. 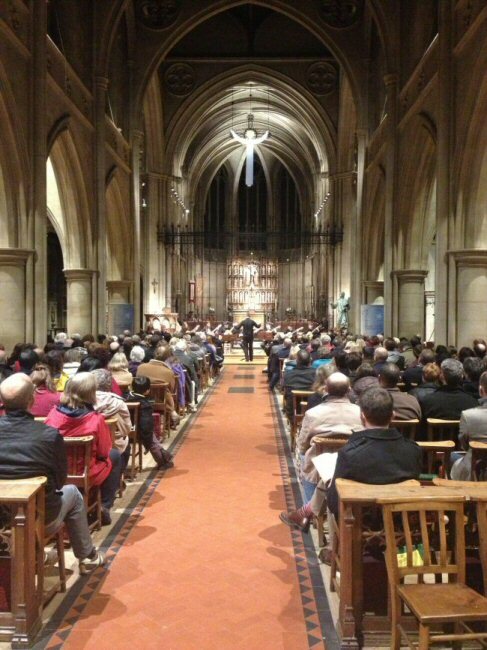 On Tuesday 4 December the last in the Autumn series of concerts was held in the church. 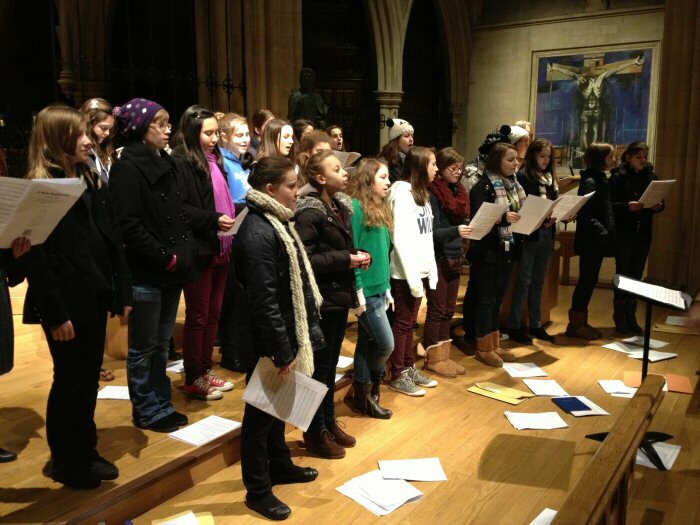 On Wednesday 5 December the Senior Girls Choir, with their conductor Teri Deal and accompanied by St Matthew’s Director of Music Stephen Moore, recorded in the church a work written especially for them. 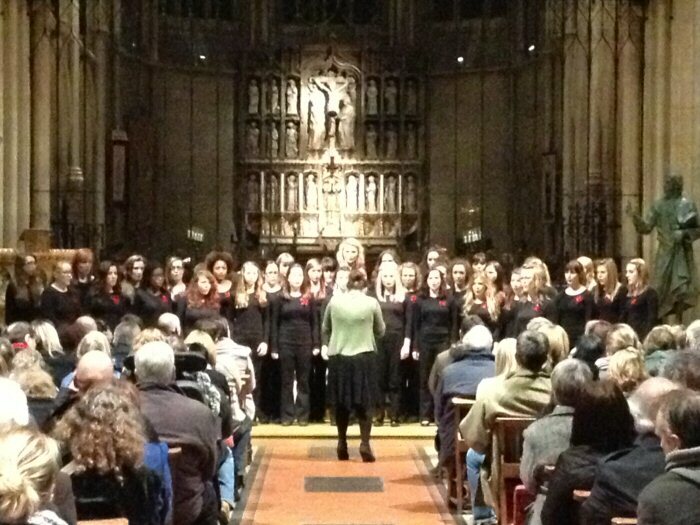 Finally, on Wednesday 12 December NMPAT choirs all came together for their annual combined concert. 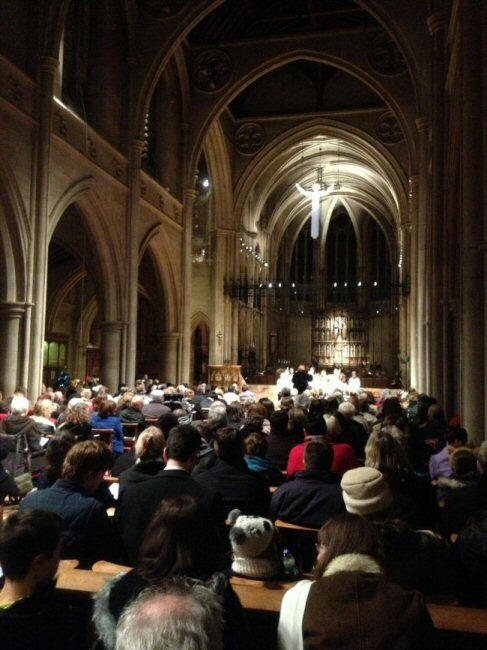 The church was full to overflowing with over 250 voices in 7 choirs taking part. 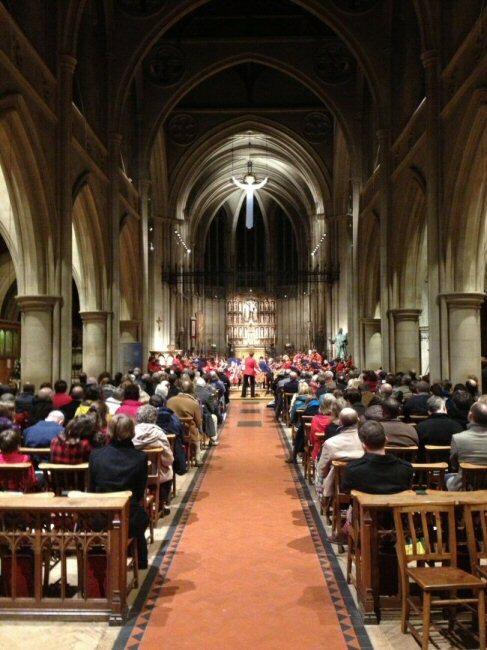 Coupled with an audience of well over 300 the congregational carols were sung with electrifying brilliance by all. 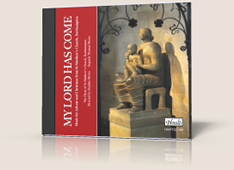 It is our hope at St Matthew’s that these concerts will be a mere drop in the ocean of what is to come over the approaching years and months. We look forward to welcoming more young people over the church’s threshold as they use their musical talents.